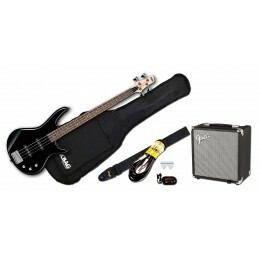 Our bass guitar starter packs come with all the basics you need to start playing. If you want to learn to play bass guitar it is best to buy from a specialist guitar store. All of our packages come fully checked and properly setup allowing you to get on with learning to play guitar without being held back. For sale online and Guitar.co.uk and in our Glasgow shop. Fast UK dispatch and delivery.